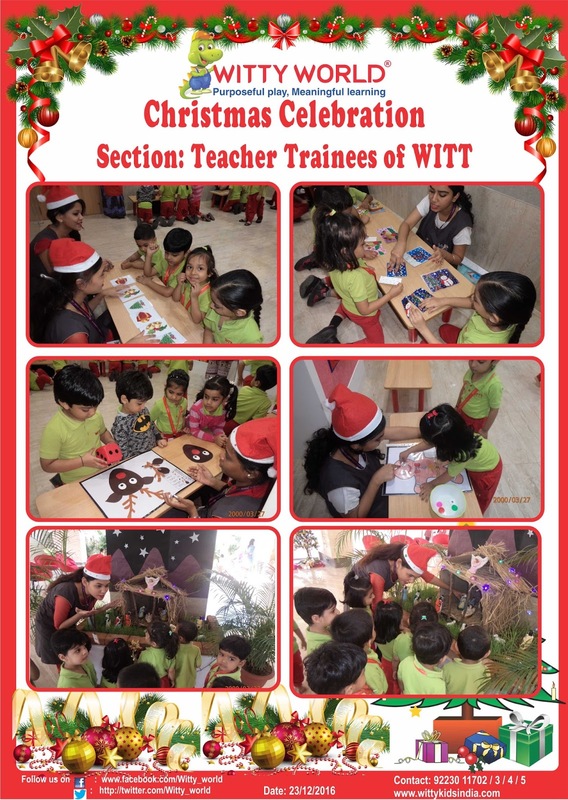 Witty World reverberated with the sound of Christmas Carols, on Friday December 23rd as Little Wittians trooped in, dressed in their party best, all geared up for a day of Christmas cheer and merriment!!! The trainee teachers from the Witty Institute of teacher training[WITT] had, as part of their lesson on Christmas , put up a nativity set up and decorated the entire school. 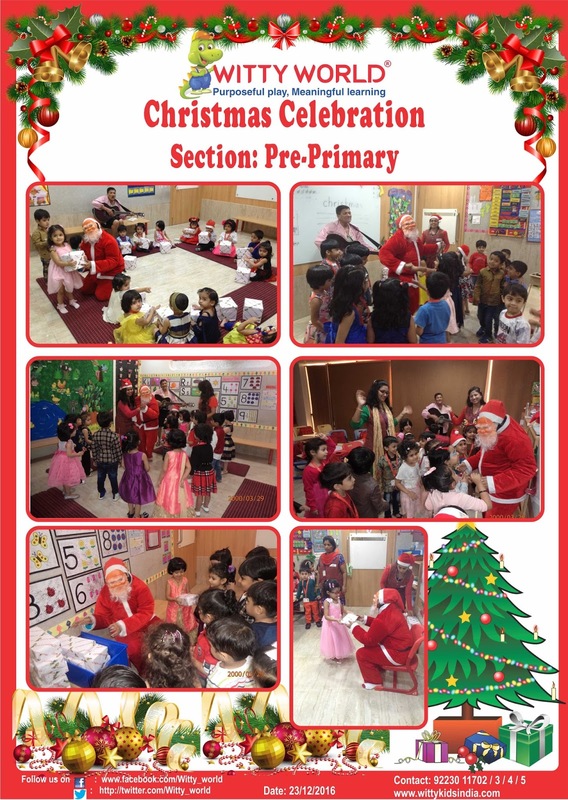 The children’s excitement knew no bounds as they danced to Christmas carols, made their take away activity, played Christmas related games, and listened to the nativity story on the birth of baby Jesus. 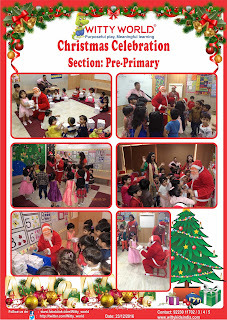 The proverbial icing on the Christmas cake ,was the fact that the little ones received their Christmas gifts from Santa himself!!! !